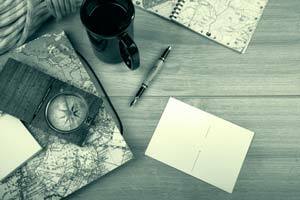 Traveling to a whole new place may be exciting and thrilling, but without proper and efficient planning, you might not enjoy the experience as much as you should. It is important that when you visit a certain location with a different language and culture, you have to get familiar with its nuances; hence, the need of an itinerary comes in. A simple timetable that outlines an allocated time for the places you’re planning to visit ensures an enjoyable and hassle-free journey. 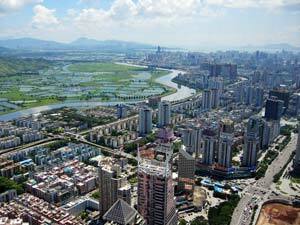 Situated in the southern part of Guangdong Province, Shenzhen is one of the top Chinese cities that has seen a significant growth in its tourism industry in recent years. After being proclaimed as a Special Economic Zone in 1979, Shenzhen’s economic growth also brought with it an increase in the city’s population as it became one of the most populous cities in China overtime. Needless to say, Shenzhen is a young and developing metropolis and what you’ll see here is the typical hustle and bustle of city living. 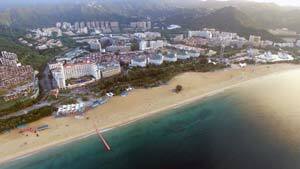 While it lacks in natural wonders, Shenzhen resorted to its famous man-made marvels. This city boasts some of the world’s most breathtaking theme parks and towering skyscrapers that any traveler would be amazed of. Below is a guide to help you navigate through the city of Shenzhen with ease. As we are sure that you will not have a hard time finding beautiful Shenzhen ladies, we also want to make sure that you’ll ace your potential date by giving you some pointers on what to do and where to go while you’re out-and-about in the beautiful city of Shenzhen. ease and meet the girl of your dreams. Exchange your Dollars to Yuan. 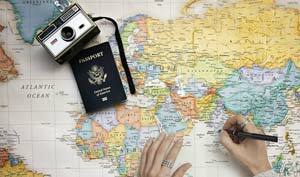 It is not a secret that spending money is almost synonymous to traveling. Be it for food, accommodation, transportation and other miscellaneous expenses, you are bound to shell out some cash while you’re out for a trip; it comes with the territory. As with many other foreign countries that have their own currencies, Shenzhen uses China’s own legal tender, Yuan. It is both convenient and efficient to use the country’s local currency instead of carrying around your credit card to pay for your transactions; the latter may result to monetary loss, especially in a foreign country where rules and regulations may not be the same with that of your country’s. Get an unlocked phone or a local SIM Card. This has to be done most especially if you’re coming from the U.S., where most phones are locked with U.S. carriers and won’t work internationally --- both for phone calls and data services. This is to make certain that you can still communicate with your loved ones and business partners while you’re out of town. Obviously, getting an unlocked phone and local SIM Card serves several purposes; the most important being is the ability to always be within reach. This is also helpful if you want to get in touch with single women of Shenzhen that you’ll meet while you’re there. You don’t want to let a rare opportunity of finding “the one” slip through your fingers just because your phone won’t work in Shenzhen, do you? Arm yourself with knowledge. You owe it both to yourself and to the locals of Shenzhen to learn at least a thing or two about their culture. This is most helpful if you plan on taking some of Shenzhen’s finest ladies out for a romantic escapade. Try to come up with interesting talking points, whether about Shenzhen’s history, culture and traditions, or even just learning a couple of words and phrases. This does not only prove that you’re sincerely interested, but it also makes you look intelligent and knowledgeable; this increases your chances of winning the heart of a Shenzhen lady. Sign up for a Date Tour. Apart from its interesting tourist spots, it’s no secret that Shenzhen also boasts of its beautiful women. If meeting a fine lady from Shenzhen is also part of your agenda in visiting this magnificent city, then you’ll be saving yourself a great deal of hassle by signing up for our singles’ tour. It is usually the dating company that takes care of everything; from organizing dates, booking accommodations, transportation, and coming up with an itinerary. All you need to do is show up, be on your A-game, and date the woman of your dreams. in Shenzhen with beautiful women by your side. Shenzhen lady at the Shenzhen Museum. Spanning over 50,000 square meters, Shenzhen Museum is home to three exhibition sites where the city’s rich culture and history is in full display. No less than 20,000 cultural and historical relics are exhibited across the Museum of History and Folk Culture, the Museum of Ancient Art, and the Ye Ting Dongjiang Guerilla Command Memorial Museum; all these will surely take you back in time. Established in 1981, Shenzhen Museum has evolved into one of the most important cultural landmarks in the city today, having an average of 1.5 million visitors annually. Needless to say, this is just one of the gems in Shenzhen you should not miss seeing. Ever dreamt of going around the world? 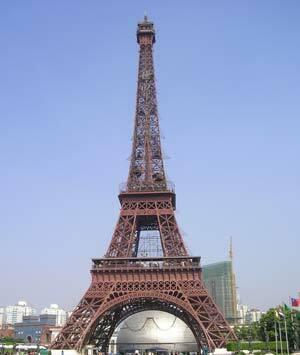 Amazingly, you can see some of the most prominent landmarks of almost every country across the globe in one city! Located in West Shenzhen, the Window of the World gives its visitors a glimpse of about 130 of the world’s most recognizable tourist attractions. From the Eiffel Tower of France, Taj Mahal of India, the Pyramids of Egypt to the Leaning Tower of Pisa in Italy, this theme park has it all for you. Covering a vast 150 hectares in the northern end of the Futian Central Business District, the Lianhuashan Park is a great place to escape the hustle and bustle of the city. Commonly called the Lotus Hill among tourists, this park is covered with tropical and subtropical plants and boasts of a 30,000 square meter man-made lake, a 4,000 square meter Peak Square overlooking the downtown area of Shenzhen, and the kite square where you can fly a kite without any impediment or obstruction. ecological area in all of Shenzhen at the Dapeng Peninsula. Beautiful beaches and turquoise blue waters are not the first things that come to mind when you hear of China. 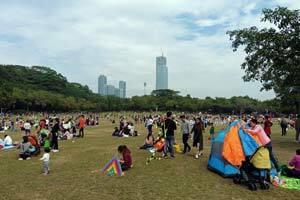 However, amid Shenzhen's rampant urbanization lies a strictly preserved and protected paradise in the east. Awarded as one of the most beautiful beaches of China by the Chinese National Geography, Dapeng Peninsula is the largest and most preserved ecological area in all of Shenzhen. This will surely give you an amazing and relaxing experience, as you get to be in a scenic and serene beach destination. These are the travel tips and the must-sees within the fascinating city of Shenzhen. These will surely help you in achieving that ideal travel within the borders of continental Asia. Book a ticket to Shenzhen now and see for yourself, a number of wonders that China is highly proud of.